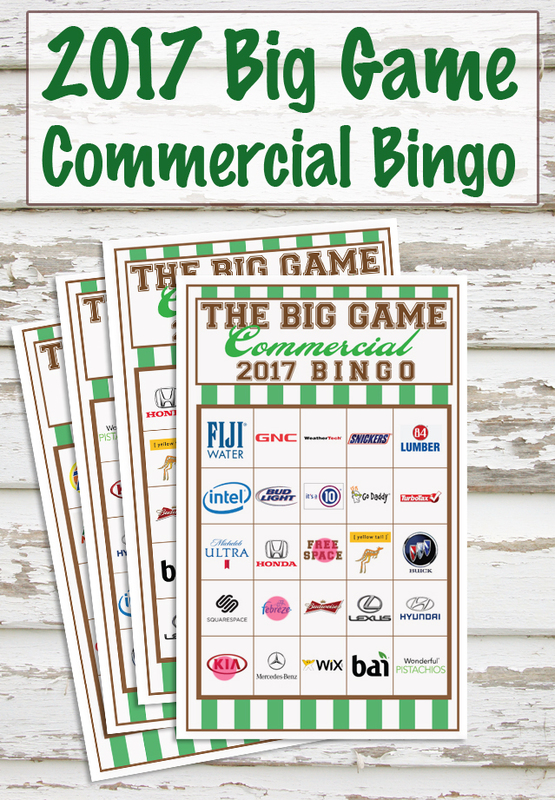 I’ve rounded up all the commercials they’ve released for this year’s Big Game and compiled them into my yearly Big Game Commercial Bingo. It’s my favorite part of the day! There are 8 cards for you, two per page. If you have a large party you can do teams for each card! Here’s the download – it will open a PDF file in another window for you to save and print. Wait a bit for it to load, it’s a biggish file. If you need some decoration ideas, check out my fun Mason Jar Football glasses and cute printables for the food table! Have a blast next Sunday! Great Idea! Especially since this year we are having a Super Bowl Commercial Party vs a Super Bowl Football party– unless the Falcons get the upper hand. Thanks! Thanks for doing this every year! This is a tradition at our Super Bowl party and your cards beat all the rest b/c you do the logos. Thanks for sharing and letting us have fun with you. Hello. I would love to download theses, but there seems to be no working link. Am I missing the link somewhere? I just found it myself! Follow there link to the Mason jar printables and they are all on one link. I’m having the same problem as someone else. Where is the link to download? Would love to use them! I think you might have printed out the cards from a few years ago. Found this link and definitely will be using these cards this year. Nice logos and very professional. My friend usually does this for me but he isn’t coming this year and the generator he provided is not exactly what I was looking for. Thanks again. I’ll come back again next year if you continue this! Is anyone else having trouble printing these with the correct colors? My game cards have a brownish-red color where I should be seeing green. The logos also have weird colors. I thought it was my printer, but I have full ink cartridges, cleaned the print heads, etc. I even printed a different document, and the colors all look fine. Suggestions? These are awesome!! Thank you so much for making them! I only watch the game for commercials & half-time show. These cards get everyone watching together & having a great time. Thank you!!! 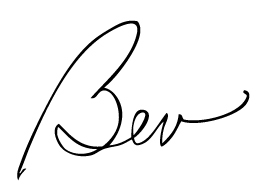 Hi Bev – thanks for doing this again! I’ve used your cards for the last two years now. FANTASTIC! Thanks again! Hi, Bev! Thanks for the Super Bowl Bingo cards. My annual Super Bowl party just wouldn’t be the same without them. Hello. Your cards are excellent and have become a fixture at our family “big game” party. Are you planning to update them for 2018? Thank you! Hi Joe! Yes I’ll be putting them out this weekend. Thanks for checking in!! Did you make bingo cards for 2018 yet? They will be up on the blog tomorrow! Thanks!